The waters off the coast of Antikythera in Greece hold many mysteries of the ancient world that are yet to be uncovered. Site of the largest shipwreck from antiquity, the region boasts a treasure trove of invaluable artifacts as well as the famous Antikythera Mechanism, a 2,000-year-old astronomical calculator that is widely considered the world’s oldest computer. 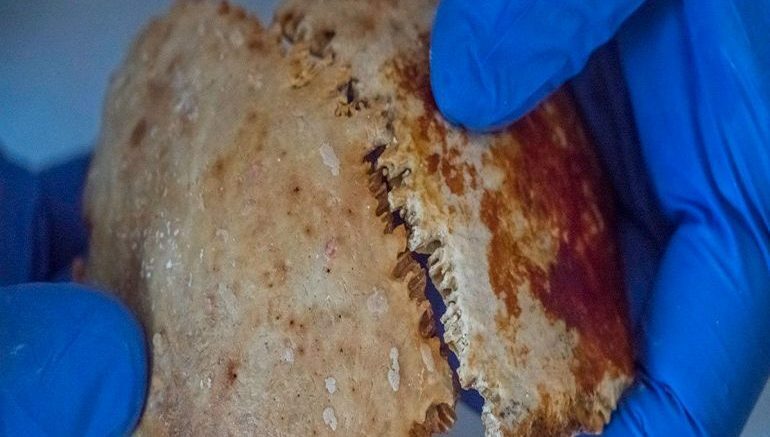 Recently, researchers working at the site have discovered a well-preserved skeleton of a young man, which they believe could provide the earliest DNA evidence ever retrieved from a sunken vessel. 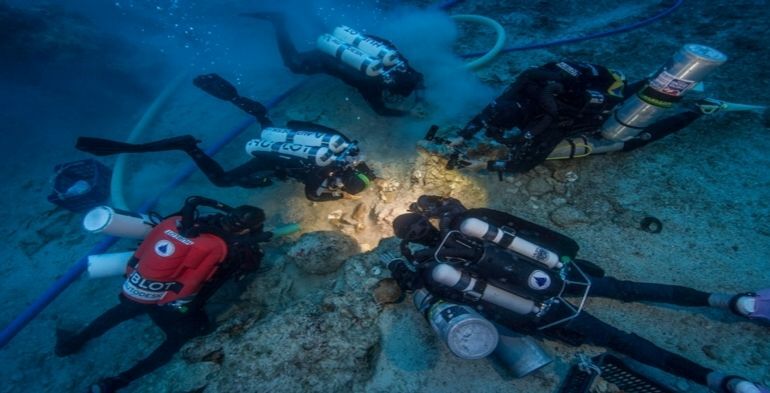 Found on August 31 at the site of the Antikythera wreck, the skeletal remains likely belonged to a member of the crew on board the Roman cargo ship that drowned in the Aegean Sea during a violent storm. Dating back to around 65 B.C., the massive commercial vessel was carrying a hoard of looted Greek treasures when it met its end. Among the artifacts recovered from the site were four majestic marble horses, intricate glasswork, bronze statues, ornate furniture, jewelry and so on. Unlike the bone fragments uncovered during the 1976 expedition, the latest discovery allows scientists to conduct advanced genetic analysis, thanks to the excellent condition of the recovered skeleton. Preserved beneath several layers of sand and pottery pieces, the skeleton remains included two femurs, parts of the man’s rib cage, two arm bones as well as portions of his skull with three teeth still embedded in it. Published on September 19th in the Nature journal, the research was conducted by archaeologists from Massachusetts-based Woods Hole Oceanographic Institution (WHOI). 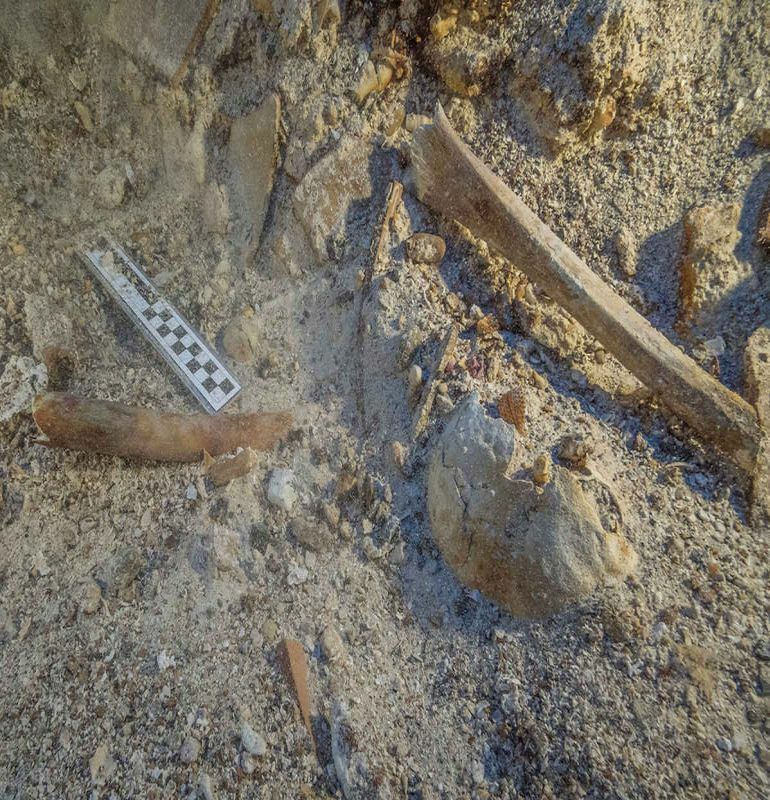 According to Hannes Schroeder, an ancient DNA expert from the Natural History Museum of Denmark, the skeleton collected from the site were still in “incredible” condition. Of these, the cranial bones were best suited for DNA extraction. This is because the ancient skull mainly contained the petrous part of the temporal bone. We can now connect directly with this person who sailed and died aboard the Antikythera ship. We don’t know of anything else like it.